Choosing the right property mostly comes down to matching the property with your goals.Do you want to invest in a low maintenance ‘set and forget’ property? Do you prefer a unit or a house? Are you looking for income or for long term capital gains? Bearing in mind that capital gains are usually associated with the value of the land that the property is situated on, and not necessarily tied to the property itself, we often encourage investors to seek out properties that have land. Over the last 20 years, average building costs have approximately tripled. Land on the other hand has increased in value ten-fold during this same time – so it’s land that actually increases your capital gains. If it’s capital gains you are chasing, nothing beats a house with land attached to it.If you are chasing income production only and do not want to have too much hassle in the way of maintenance then perhaps a unit or town house is a more appropriate style of investment. Choosing the right property mostly comes down to matching the property with your goals. Do you want to invest in a low maintenance ‘set and forget’ property? Do you prefer a unit or a house? 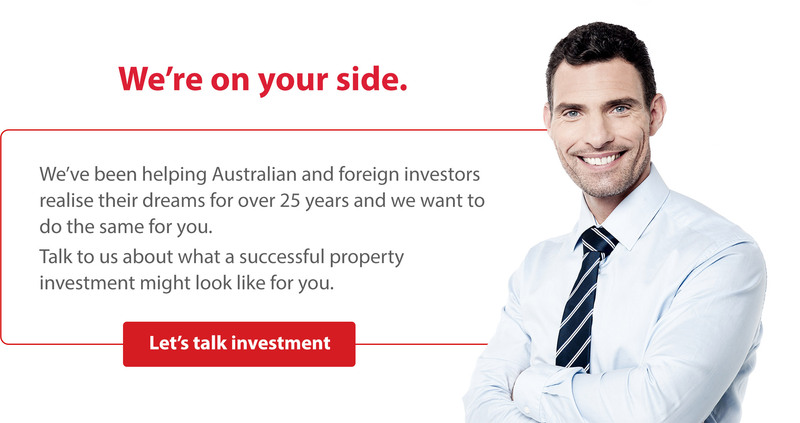 Are you looking for income or for long term capital gains? Location is a factor in both capital growth through increasing land value over time, and also important when considering income growth from rental properties – you need to know which areas are in high rental demand and are likely to go higher. To understand rental demand, you need to have your finger on the pulse of what is happening locally – what industrial / commercial / educational centres are being planned, what businesses are investing in the area and where will the workforce be situated?, all of these factors play a part on understanding likely rental demand. Investing in property should never be an emotional decision. There is no point in investing in an area just because you live there, or you like the area only to have the property sit empty for periods of time. Doing the homework and researching rental demand will help you to attain consistent rental and maximum income. When considering any form of investment property, it’s key that you do not overcapitalise on the property itself with luxury inclusions. Spending $20k on a marble bench top will not command any more rent for the property than a basic bench top, so by over capitalising all you are doing is guaranteeing a lesser rate of return on your investment.